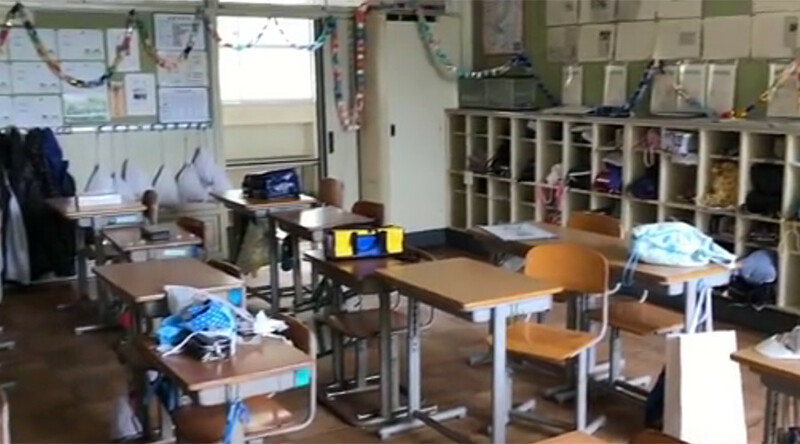 A team of YouTubers has braved the hazardous fallout of Fukushima to document the abandoned homes and businesses left in the aftermath of the 2011 nuclear disaster. The group, which publishes videos to YouTube under the name ‘Exploring the Unbeaten Path,’ has previously filmed ventures into places as varied and far-flung as Baikonur Cosmodrome in Kazakhstan, an abandoned asylum in Taiwan and a disused old rig off the coast of Scotland. For its latest adventure, Dutch filmmaker Bob Thissen led the team to the site of the Fukushima Daiichi nuclear disaster, which happened in March 2011. The crisis came about when a 9.0 magnitude earthquake knocked out the plant’s reactors. A subsequent tsunami then disabled the emergency generators, leading to partial meltdowns in each reactor and the release of radioactive material. More than 170,000 people were ordered to evacuate a 10-mile radius around the plant, meaning a large number of homes and businesses have now been left untouched for more than six years. Speaking to RT.com ahead of the release of the group’s seven-episode Fukushima series, Thissen describes a scene reminiscent of bleak post-apocalyptic movies in which animals roam free and homes and vehicles stand empty. Exploring the Unbeaten Path continues to build a strong following online, with its video from inside hangars containing the Soviet space shuttles in Baikonur Cosmodrome receiving over 1 million views on YouTube.